As the season progresses, the new shoots on shrubs start to become brown (woody) instead of green. At this point, they can be taken as semi-ripe cuttings. 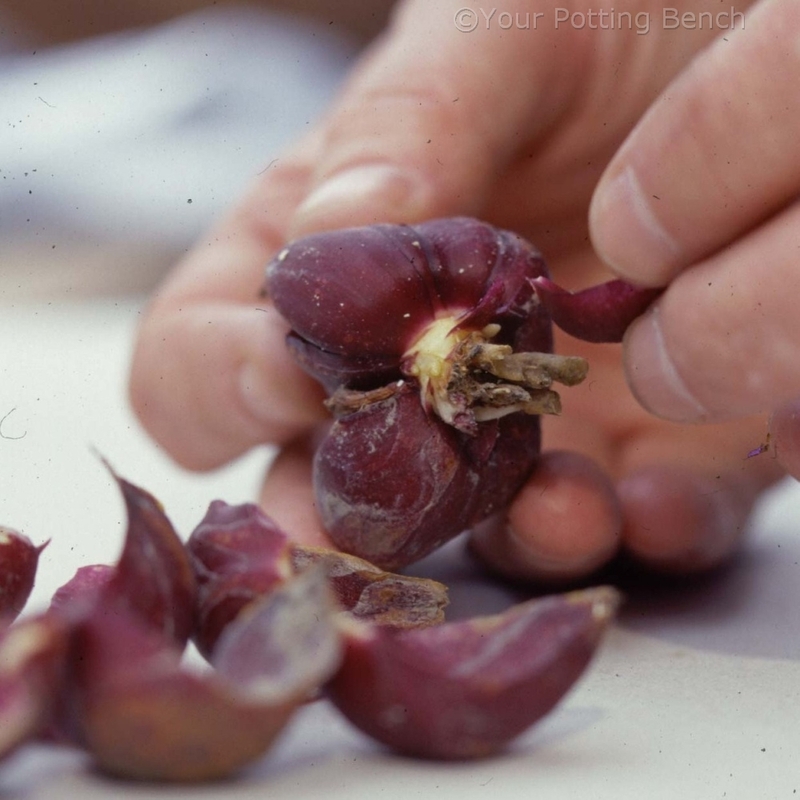 The extra strength means that the cuttings are less likely to wilt before they produce roots. 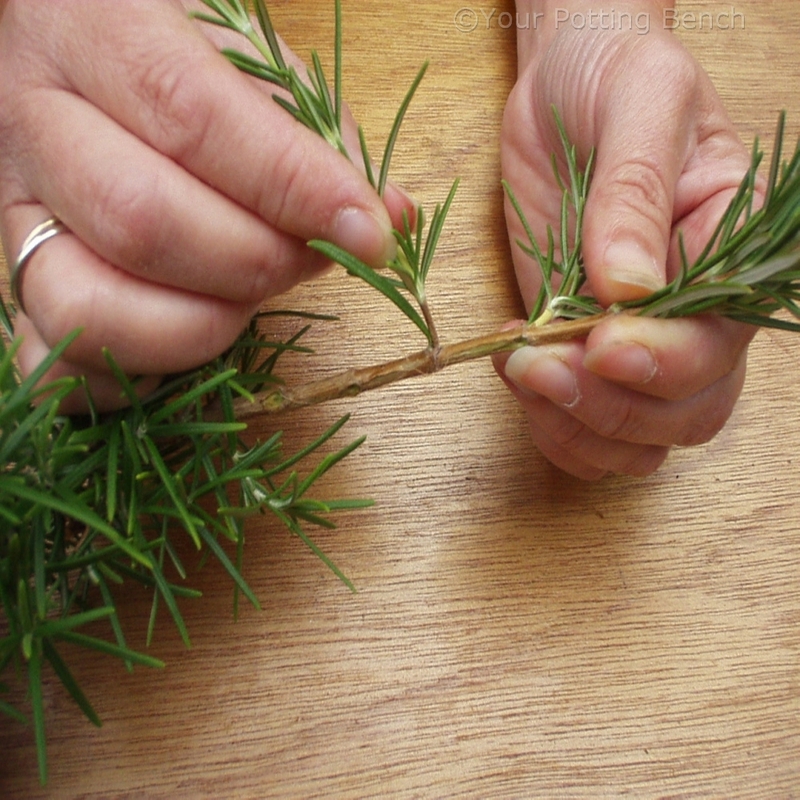 The ideal cutting from a plant, such as this rosemary, should be 8- 10cm long with 1-2cm of brown stem at the base. 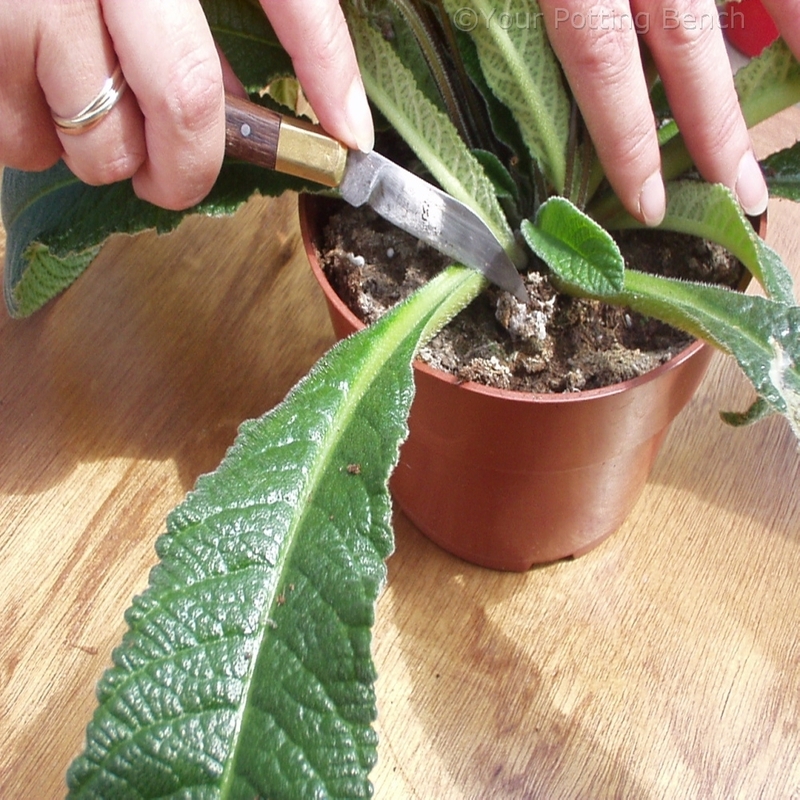 The shoot can be cut with clean, sharp secateurs or pulled from the stem with a ‘heel’ of bark attached. 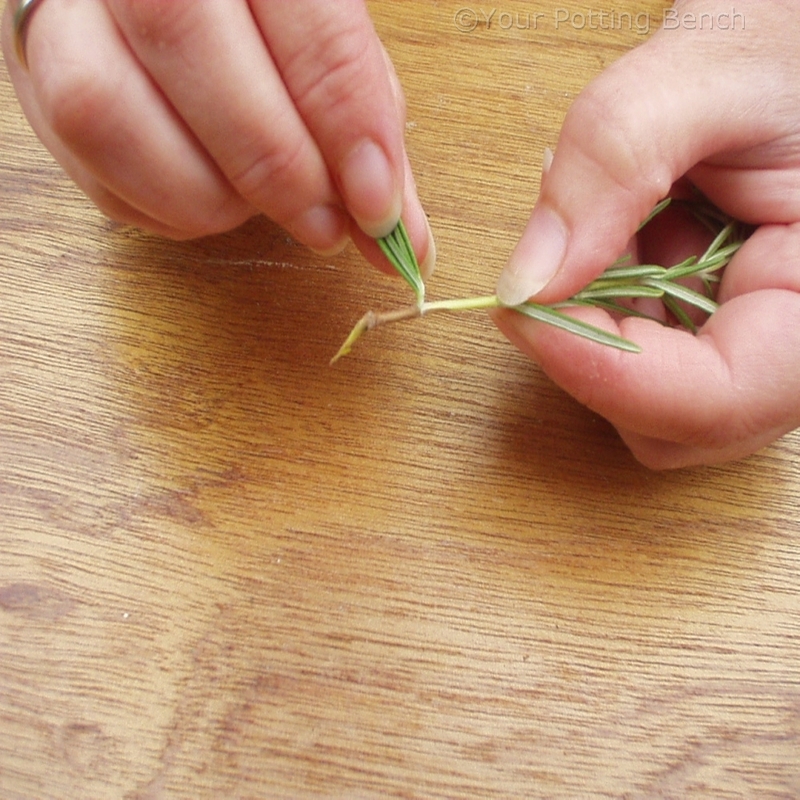 Remove the leaves from the lower third of the cutting by pulling gently. If you have taken the cutting with a heel, trim it back to remove the thin tail. Dip the end of the cutting in clean rooting hormone powder and tap off the excess. 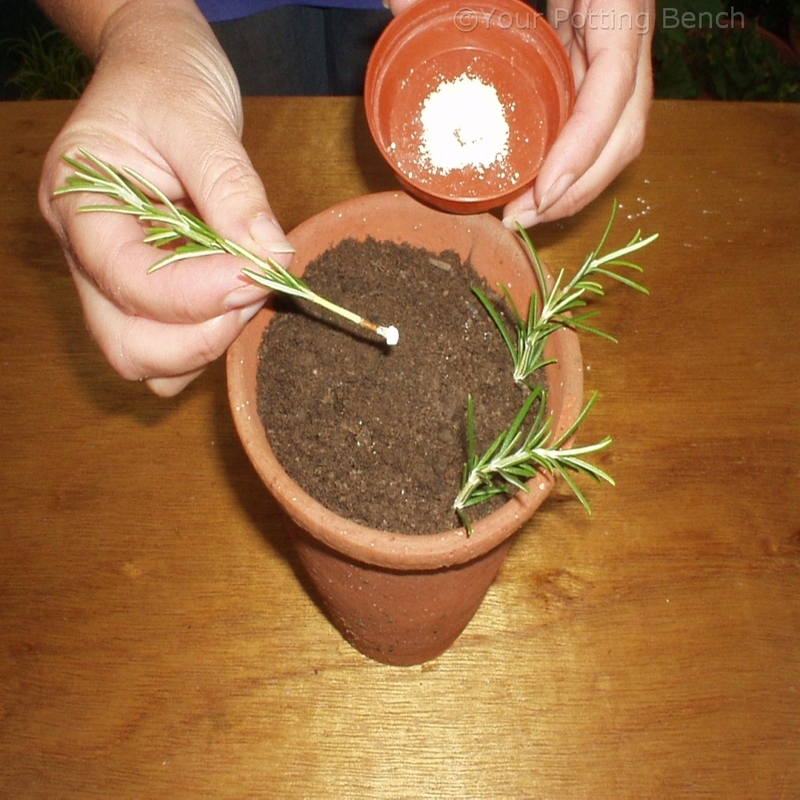 Never put used powder back into its container: just tip enough to use in one go into a saucer and then discard it. 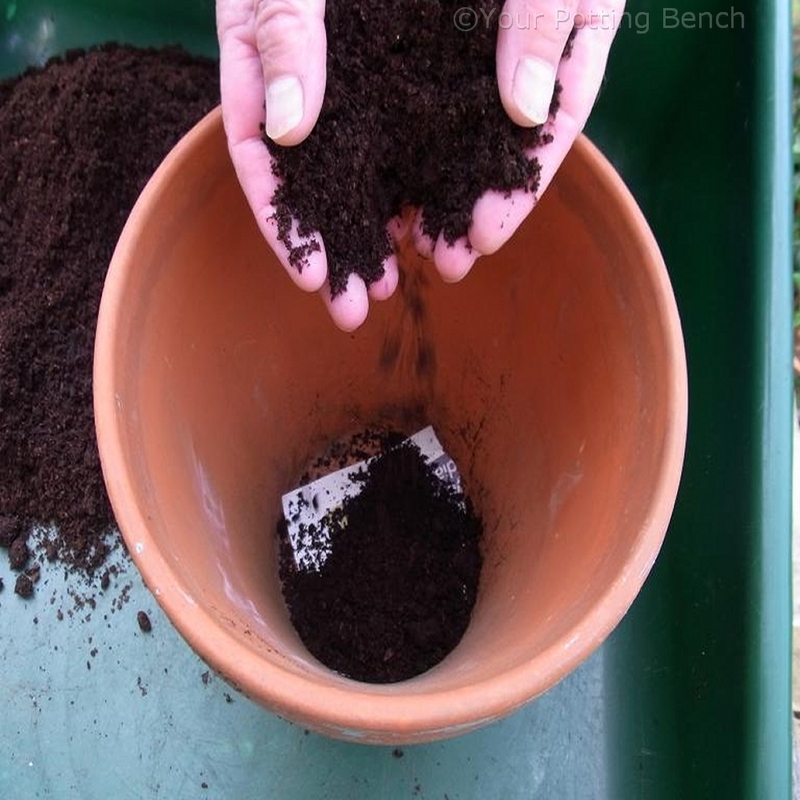 Push the cuttings into a pot of multipurpose compost, water to settle and allow to drain. They will root outdoors or in a cool greenhouse. 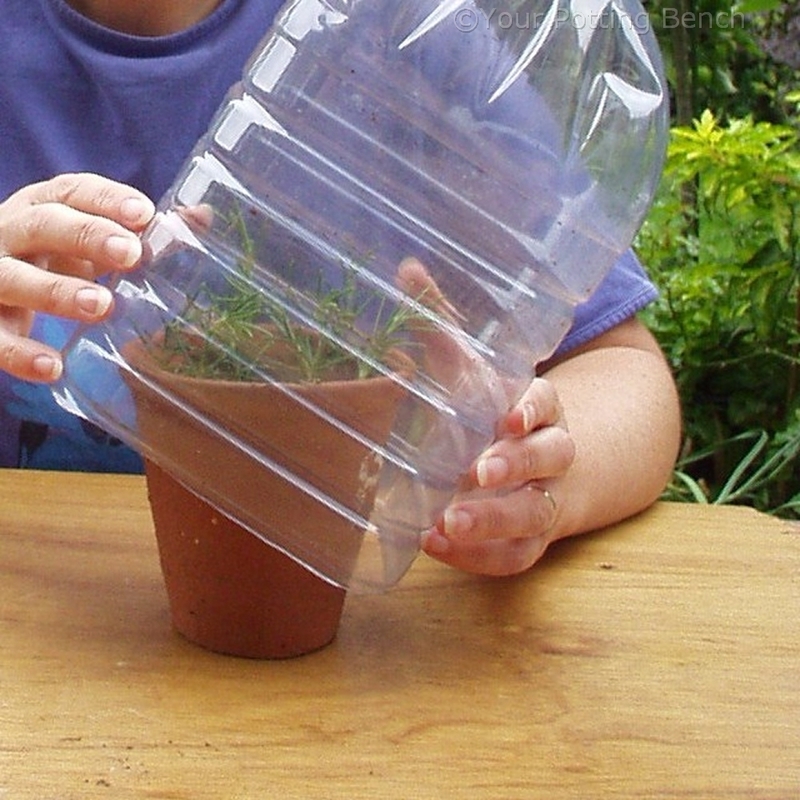 A cover will help protect them from excess rain as well as increasing humidity around the leaves to speed rooting. 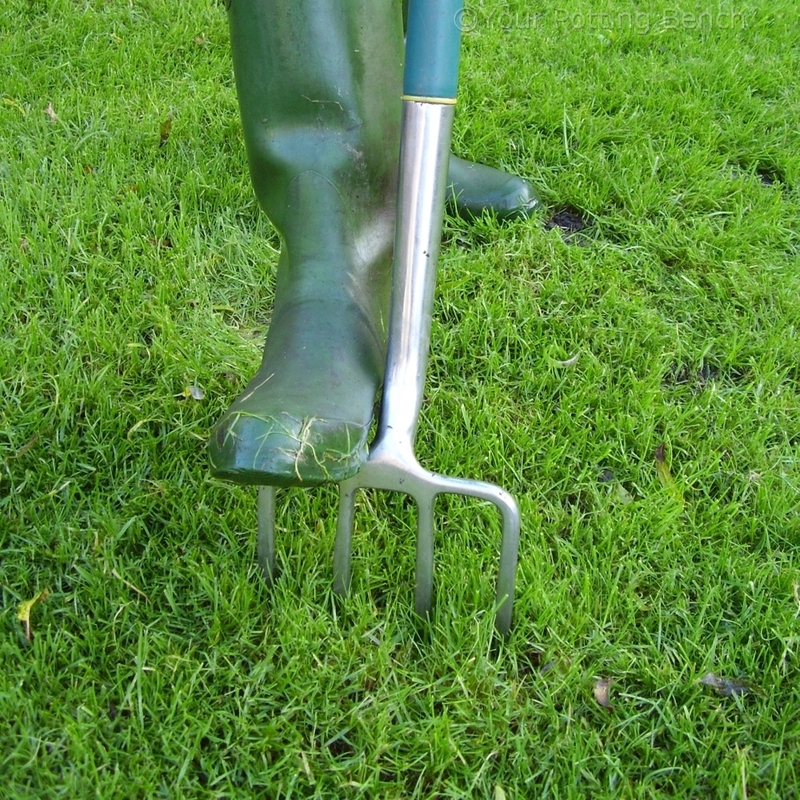 Check regularly for watering, as the compost needs to be moist.